All of us have that little bit of wild animal somewhere within us. Sometimes, it only shows up when we've got a delicious snack in front of us that we've got to tear into like the circle of life depends on it. Other times, maybe it is a little more nuanced a shift. 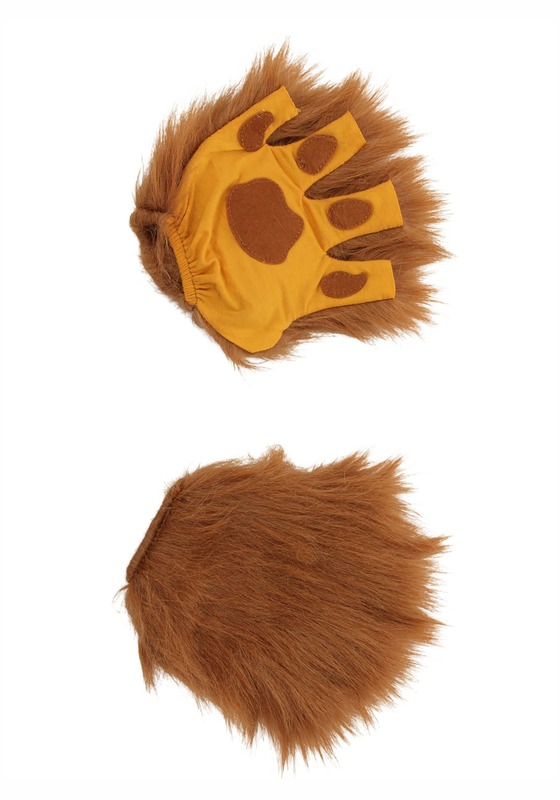 Whether you've got grub to guard or are just looking to augment your animal magnetism, these Adult Lion Paws Fingerless Gloves are sure to help you complete your look. These gloves are a soft fabric and feature dark orange pads on the palm to closely resemble an animal's paws. The similarly colored faux fur on the back of the glove will let you resemble many animals from lion to wolf, bear to squirrel, or maybe a critter we've never before seen! LIONS AND TIGERS AND BEARS, ALRIGHT! When you're trying to give your animal costume that final push to perfection, sometimes you need a hand. Sometimes two. Sometimes that just means you need a pair of fingerless animal paw gloves! If that's the case, these are for you!